This is a stock photo. 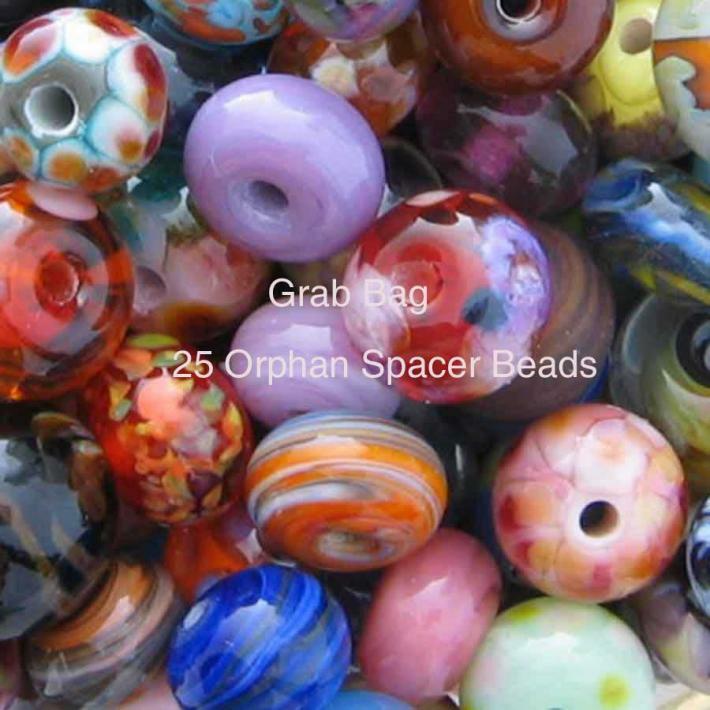 You get 25 beads from my orphan spacer bead box. I am constantly test colors and frit blends. Therefore selections vary all the time. If you have preferences, let me know. Beads are made on 5/64" mandrel and size are about 8x11mm. All my beads are annealed in kiln.